The following is a comprehensive list of Frequently Asked Questions to help you plan your getaway or day trip from Albany NY. If you have a question that's not answered here or on our website, please call us at 866-890-1171. Q: Where is The Gideon Putnam relative to Saratoga Spa State Park? A: The Gideon Putnam is located within Saratoga Spa State Park. Q: How far is the Saratoga Performing Arts Center (SPAC) from The Gideon Putnam? A: Approximately a 10-minute stroll. Q: What other sites are nearby the hotel? A: The Roosevelt Baths & Spa, the Saratoga Performing Arts Center, the Museum of Dance, the Auto Museum, the Spa Little Theater, and the Spa Golf Course are all located within Saratoga Spa State Park. Q: Where is the nearest airport? A: The Albany Airport is approximately 30 minutes away. Q: What is the cultural history of the Gideon Putnam? A: Our hotel bears the name of the very founder of Saratoga Springs; Gideon Putnam. A visionary who settled near High Rock Spring in 1795, he saw the area's potential and purchased land near Congress Spring to build Putnam's Tavern and Boarding House. Learn more about Gideon Putnam History. 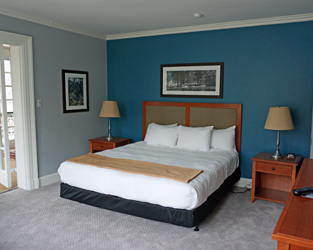 Q: Are the guestrooms air conditioned? A: Yes, all guestrooms and public areas are air conditioned. Q: What packages are available at the hotel and spa? A: The Gideon Putnam has several packages which can be found in our Specials section. Q: How can I make a reservation to stay at the hotel? A: You can make a reservation online or by calling toll-free 866-890-1171. A: 72 hours notice is required for any cancellations or changes to your reservation. Q: Are there trails in the park? A: Yes, maps of the parks are available at the Front Desk. Q: Is it safe to walk around the grounds after dark? A: For the most part, yes. However, this is a fairly rustic park, and you should stay on the paved areas only and watch your step carefully. A flashlight can be handy. Should wildlife cross your path, keep your distance and let them move out of your way before you proceed. Q: If I want to extend my stay once my conference is over, may I get a room of my own? A: Of course. 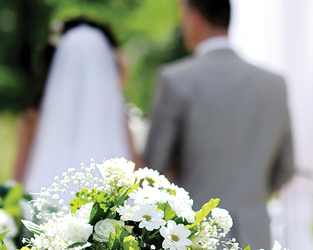 Simply click here to check availability and rates. Q: Is the Gideon Putnam open all year long? A: Yes, 365 days a year. 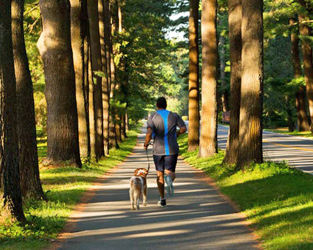 Q: When is the best time of year to visit Saratoga Springs, New York? A: Located in Upstate New York, the weather is mild in the spring and fall, especially lovely in the summer, and white in the winter months, when it is best to pack warm coats and hats. Q: Can you provide directions to the Gideon Putnam Resort? A: A map and directions can be found on our Maps & Transportation page. The Front Desk would be happy to assist you with any directions needed once you arrive. Q: Does the Gideon Putnam have an outdoor swimming pool? A: Yes. A short stroll through the park behind the hotel will lead you to The Victoria Pool which is open seasonally late June through Labor Day, 7 days a week from 10 am to 6 pm. If May is a warm month, the pool is open on the weekends. Guests must bring your hotel room pass in order to enter the pool free of charge. If you are not a guest at the resort, the charge for adults is $8 and children are $4. Q: How many pools are located within Saratoga Spa State Park? A: Two. The Victoria Pool and The Peerless Pool. The Peerless Pool is larger and more family oriented. It is open 6 days a week, closed on Tuesdays from the end of June through Labor Day. The hours are 10 am to 6 pm. Adults are $2 and children are $1.50. Q: Is a fitness center available? A: The fitness center is located within the hotel and is open daily, 24 hours a day. Q: What are the spa hours? A: The Roosevelt Baths & Spa is open daily from 9 am to 7 pm. Please call 518-226-4790 for more information or to book an appointment. Q: What are some services offered at the spa? 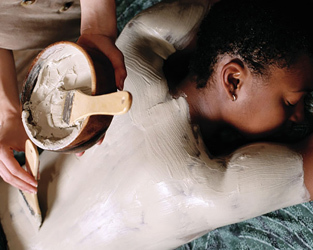 A: Mineral baths, massages, facials, body treatments, and salon services. Q: What is a mineral bath? A: Each bath is set up for individual use to ensure your privacy. Our staff has been trained to draw the mineral baths to the proper temperature (97-100 degrees) by adding a minimal amount of hot, fresh water to the natural, cold mineral water. Q: Are gift cards available to purchase? A: Yes. Gift cards can be purchased at the hotel or spa Front Desk, ordered over the phone with a credit card, or purchased online. Q: Can I bring my bicycle with me? A: Yes, there are bicycle racks located in front of the Resort. We recommend that you keep your bike securely locked whenever you are away from it. However, we ask that you do not bring your bicycle into your room, into any meeting rooms, or secure it to any light poles, sign poles, or any park feature. A: Yes. We rent bicycles through the Front Desk. Rental fees are $15 for 2 hrs, $25 for 4 hrs, or $40 for all day. Q: What additional services and accommodations are available for visitors with disabilities? A: Parking for the disabled is available, and we have a limited number of rooms that provide various types of access for the disabled. Please contact the Front Desk or a reservations agent prior to arrival to determine if your specific needs can be met. A: We have pet friendly rooms available on the first floor for an additional $50 per day. We ask that no pets be left unattended in a closed vehicle at any time. The Gideon Putnam does not provide pet sitting services. Pet sitting must be arranged prior to arrival with an outside service. Q: What restaurants are available at the hotel? A: Putnam's Restaurant and Bar, as well as Putnam's Patio, and Cafe in the Park. Putnam's Restaurant is open year-round serving breakfast, lunch, and dinner. Putnam's Patio and Cafe in the Park are both open daily, weather permitting, spring through fall. Q: Are vegetarian meals available? A: Yes, a few choices are on the menu. With advance notice, we can meet most special dietary requirements. Q: Is room service available to guests? A: Yes. A room service menu is available in all of our guestrooms. Room service is offered from 7am until 9pm. Q: What are the hours of Sunday Brunch? Q: When is the Hotel Gift Shop open? A: The gift shop is open from 10 am to 6 pm daily and it is located off of the main lobby. The Roosevelt Baths & Spa also has a retail section in their main lobby open from 9 am to 7 pm. Q: Is there a place where I can leave my valuables? A: Safe deposit boxes are provided in all guest rooms. Q: Where is the nearest public laundromat? Dry cleaners? A: One-day dry cleaning service is available if items are brought to the Front Desk Monday - Friday. The closest laundromats are located in downtown Saratoga Springs. A: We can put you in touch with an outside service. Please call our Front Desk for assistance. Q: Are there medical services available nearby? A: The Emergency Room of Saratoga Hospital is located on Church Street. It is about a 10-minute drive from The Gideon Putnam. Q: What are the check-in and check-out times? A: Check-in time is 4 pm, and check-out time is 11 am. early check in or late check out can be requested with the Front Desk. Q: Is the Front Desk open 24 hours? Q: Do you have a Business Center? A: Yes, two computers and printers are available in the Saratoga Room. Photocopying and faxing are available at the Front Desk. Q: Is there an age requirement for Spa bookings? A: Yes, Spa guests must be at least 18 years old. Q: Do you have a shuttle available? A: The Gideon Putnam shuttle is available anytime to local destinations free of charge. The Saratoga City Trolley runs seasonally stopping at the hotel every 30 minutes as well. Q: Is there a free shuttle to the race track? A: Yes, during racing season it runs every 30 minutes from 11 am - 2 pm, and every hour from 2 pm - 4 pm. Q: What is the "Racino"? 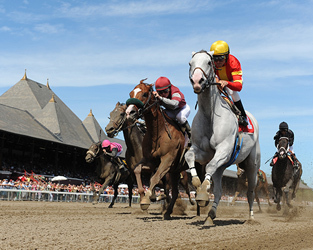 A: The Saratoga Casino and Raceway is often called the "Racino" which offers harness racing and video gaming. Q: Is there an ATM in the Hotel? A: Yes. An ATM is located in the main lobby of the hotel.